Our Remember Honor Salute Foundation, allows granted funds to be used for location up-keep and program expansion to enhance the visitor experience and continue to support today’s and tomorrow’s veterans. The Tomlinson family started Home of the Brave in 1991 in conjunction with the Pearl Harbor 50th Anniversary. 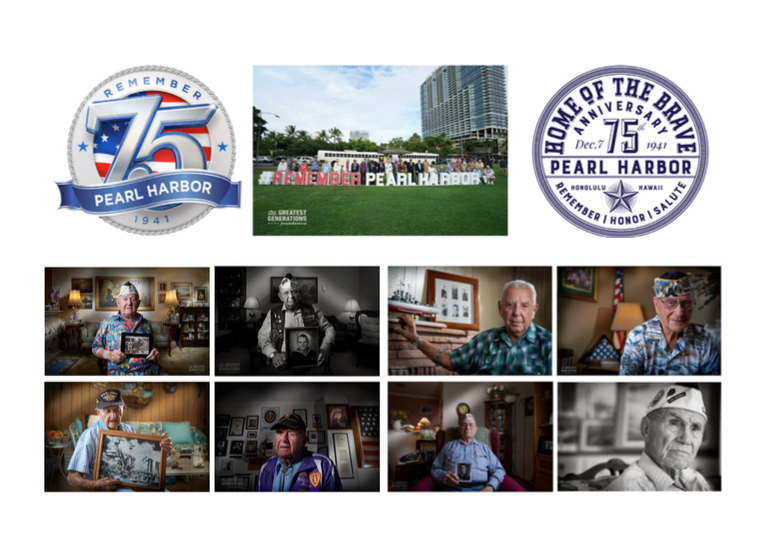 With the help of the Pearl Harbor survivors, they created Home of the Brave Tours & Museum, a one-of-a-kind WWII Military Base Tour along with the largest private collection of 1940's memorabilia in the Pacific. As curators of this extensive collection, the Tomlinsons have received numerous awards and accolades for their work in educating the public about the rich heritage, sacrifices and traditions of the United States military. Our goal is to maintain this historic Kakaako museum and expand the property into an interactive learning center to further promote awareness, gratitude, and documentation of America's military heritage for public interest and educational purposes. Geographical Coverage includes showcasing world military history, with the primary focus on WWII, the Korean War, Vietnam, and the present conflicts in Iraq & Afghanistan. We are working with the Greatest Generations Foundation, which brings together generations of American patriots on battlefield expeditions around the globe. We plan on building educational programs with other countries to forge understanding throughout communities around the world. The extensive collection of historical artifacts and memorabilia pertaining to the US Military has all been donated from veterans and their families. It exists to preserve the Pacific and European theater historical wartime legacies, as well as to honor the sacrifice and victory of our nation’s great servicemen and women. Granted funds will be used for location up-keep and program expansion to enhance the visitor experience and continue to support today’s and tomorrow’s veterans. Our unique, hands-on museum was established to share and salute the stories of our soldiers, sailors, airmen, coastguardsmen and marines, and highlight Hawaii’s proud 442 RCT, 100th Btn, and MIS soldiers.